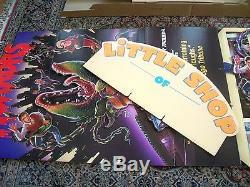 Vintage Original Little Shop of Horrors Video Store Standee 1986. 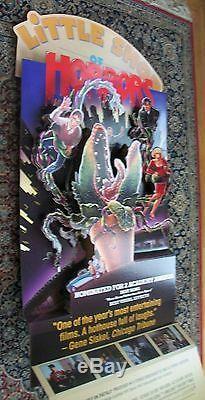 1986 Cardboard die cut 3-D Full Color 6 piece Floor Standee from Warner Bros Home Video. Stands about 5 feet tall and is 26 inches wide. 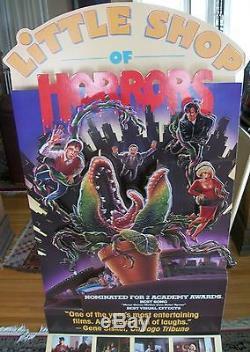 Very Good condition and great color on this video store used advertising piece. Complete with small wear from use and a small spot of missing surface on the end of one of the plant tentacles. 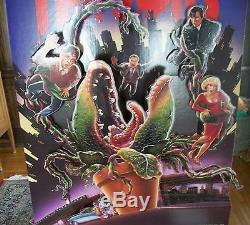 Rick Moranis, Ellen Greene, Vincent Gardenia, Steve Martin, and Levi Stubbs as the voice of Audrey II. 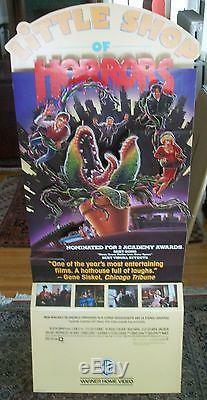 The film also featured special appearances by James Belushi, John Candy, Christopher Guest and Bill Murray. 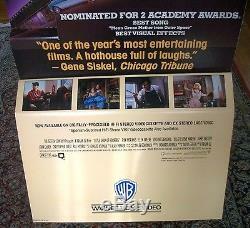 It was produced by David Geffen through The Geffen Company and was directed by Frank Oz. 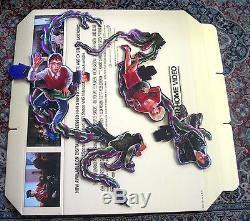 This comes with the original mailer that says. 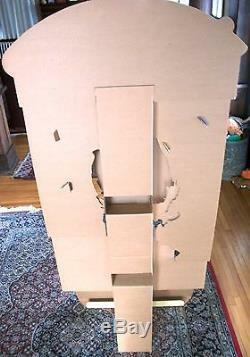 Also, comes with the assembly instruction sheet. 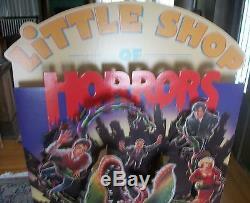 The item "Vintage Original Little Shop of Horrors Video Store Standee 1986 Great Condition" is in sale since Tuesday, July 04, 2017. 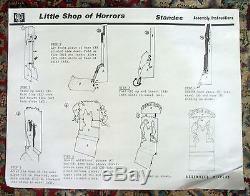 This item is in the category "Entertainment Memorabilia\Movie Memorabilia\Posters\Originals-United States\1980-89". 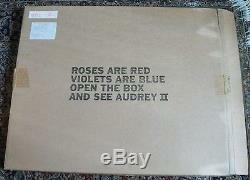 The seller is "drzomb" and is located in Wapakoneta, Ohio.